Saving money is something we all love to do. Some people choose to wait until coupons appear in their local papers or until special saving events come along like Black Friday. The problem with this is that these savings only come around every once in a while. With Deal of the day websites, you don’t need to wait until a great deal appears, there are special savings each day on these websites. We’ve searched the web to find some of the best daily deals websites that you’ll want to visit every day to save each time you shop online or in retail stores. On these sites, you can find coupon codes for online purchases and printable coupons for the shops you visit in person like your local grocery store. MyHabit was one of the top sites of this genre but unfortunately, it closed down only a few years after its launch. MyHabit was created by the e-commerce mogul we all know and love called Amazon. This subsidiary of Amazon offered dramatically discounted offers on a ton of things. On MyHabit, you could find discounts for clothing, discounts for electronics, discounts for home decor items, and more. MyHabit also offered free shipping and easy returns. Just because MyHabit doesn’t exist anymore, doesn’t mean that you cannot shop for cheap things online ever again. There are a ton of sites online that offer daily discounts and group deals to give you the best savings possible on all sorts of things online and in brick and mortar shops. If you’re looking for exclusive deals each time you shop online, you’ll love these websites like MyHabit. Bookmark them all to search each time you need to buy something, there’s no excuse not to save. 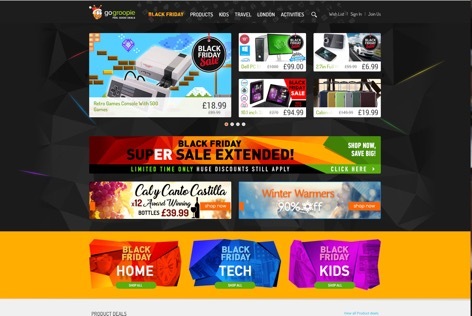 Go Groopie must be added to our list of daily deal websites like MyHabit. This site works a lot like Groupon except that it caters to those living overseas, the UK area to be precise. Go Groopie offers exceptional savings if people purchase the offer as a group. This site also has a wide range of daily discounts and savings on smaller items like toothpaste, meals in restaurants, movie theater tickets, and pet food. 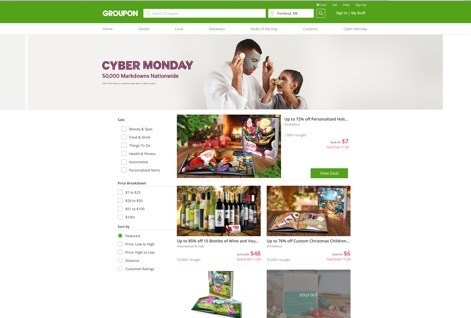 Groupon was founded in 2008 as a way for people to band together to be able to get greater discounts on things like events, outings, travel, and goods. Based in Chicago, this addition to our list of websites like MyHabit has some of the best deals online. Groupon works by having people select something they’re interested in. If enough people are interested in it too, you will receive a great deal. The only downside with Groupon is that the activities and events are usually for groups so you may find yourself attending something with strangers if your deal was made. Our list of daily deals online needs to include this alternative to MyHabit called MobStub. MobStub is one of the largest daily deal sites on the internet. 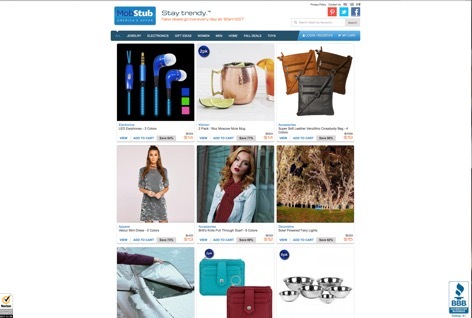 This discount website features deals on the hottest items and most sought-after trends. If you’ve been searching for an exclusive toy or a designer dress that only came out in limited quantities, you might find it on MobStub. The only thing about this site is that you need to act fast. MobStub changes their offers quickly and their deals run out fast. 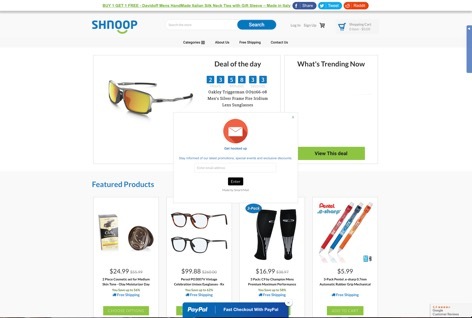 Shnoop is another one of the best deal sites like MyHabit. This site that was founded in 2007 was created so you could save a little each day. Shnoop searches the web early each morning to find the one great deal of the day. Their discovery is then posted on their website. This means that every 24 hours, you will find one exclusive deal. This deal can be a tv, a pair of shoes, a piece of jewelry, beauty products, or anything else imaginable. If you like the deal, grab it fast because the daily deals found on Shnoop are usually limited in quantity. 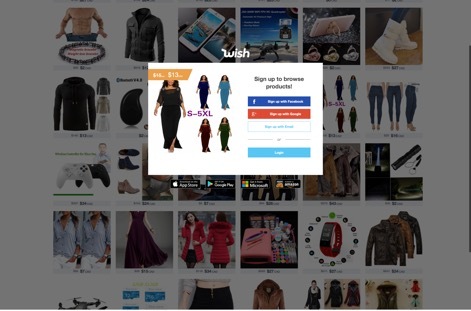 Wish is a popular flash sale site similar to MyHabit. Wish can be used on your browser and you can download the app for your Android or iOS phone. On this site you will find everything and anything, if it exists, chances are it can be found on Wish, for up to 90% off retail cost. Most of the items on this site come from China which means that yes, you will save a ton of money, but you’ll need to be patient with each delivery because it can take a while to arrive at your home. Most of the orders from Wish take more than 30 days to arrive.